For Teri Finneman, the Knight Center’s latest free online course on podcasting came at just the right time. A journalism professor, she and her colleagues were planning to announce the start of a new podcast when she heard about the opportunity. Journalism History, the podcast Finneman is helping to produce, “rips out the pages of your history books to re-examine the stories you thought you knew.” They’ve so far posted three episodes and plan to have a new one every two weeks. Finneman is one of 3,049 people from 126 countries who registered for the free massive open online course (MOOC) “Listen up! 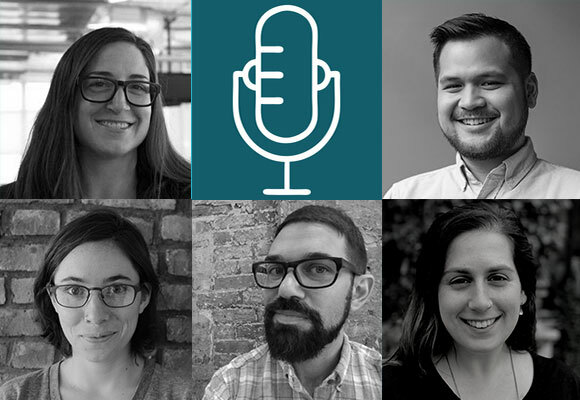 How to launch and grow a hit podcast,” offered with support from the Knight Foundation. Learning materials from that course, including video classes and readings, are now available online. "This class spanned the entire world of podcasting, from its humble beginnings to its as yet unwritten future, and I can't think of a group of motivated students from across the globe better situated to write that future,” said course instructor Caitlin Thompson. In five weeks, the course covered developing a pitch, production basics, analytics and engagement and revenue models. Students learned from and interacted with five professionals who produce their own programs and consult others in the field. Thompson, podcast consultant and co-founder of Racquet magazine, was joined by Tobin Low, co-host and co-managing editor of the podcast Nancy; Rose Eveleth, creator and host of the Flash Forward podcast; Jacob Kramer-Duffield, a podcast analytics and audience consultant; and Jennifer Barish, manager of content acquisition at Stitcher Premium. Each instructor led their own weekly module complete with videos, readings and participation in discussion forums. Student Torben Stephan benefitted from the knowledge of the lecturers and their hints and insights as he launched his new podcast in German, LibreZoom, about free and open source software, net politics and digital challenges. And now, even though the course has closed, Stephan and all students still have access to all course videos and reading materials via the course resource page. So, if you missed your chance to take the course or need a refresher on any aspect covered by the instructors, you can freely consult these materials.